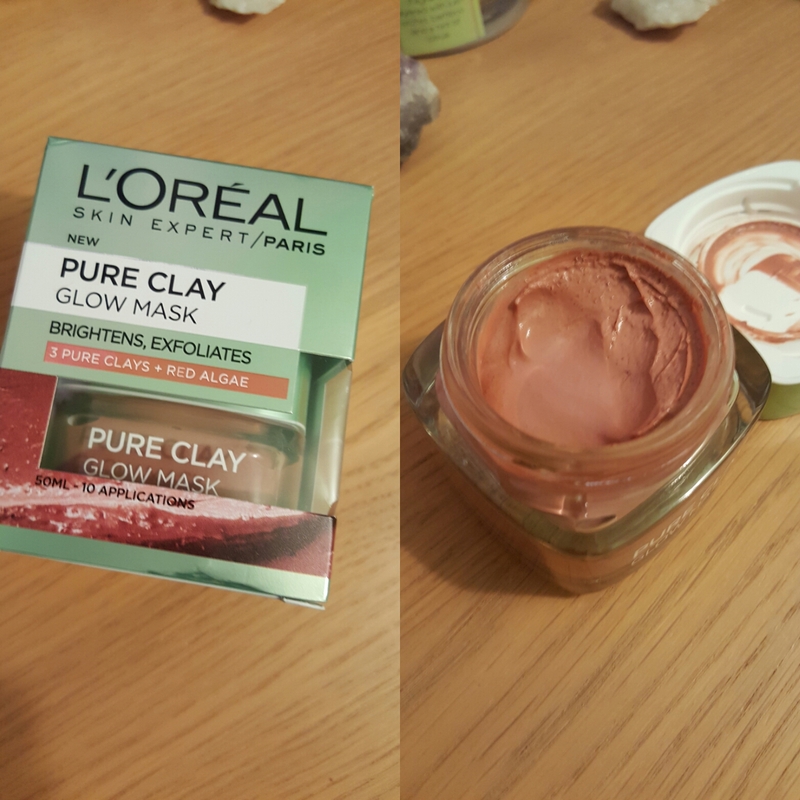 I was lucky enough for Christmas to get my hands one of the L'Oreal Pure Clay Masks. I opted for the glow mask for two reasons one I want to have nice bright non-tired skin and two out of the three this one smelled the nicest! 1. Koalin - which is known to absorb impurities and excess sebum. 2. Montmorillonite - which helps to eliminate imperfections. 3. Ghassoul - which helps to clarify complexion. I'm always sceptical about new products with grand claims, but I have heard really good things about these facemasks. I love a good facemask so finding a new one that could possibly work wonders with my skin is always a plus. This product applies really easily and is thick in consistency. As with most facemasks you just apply a thin layer over the face avoiding the eyes and lips. Leave to dry for 5-10 minutes and then remove with warm water. Sadly I have no awful face mask selfie photos to share with you but I have tried this a few times now and thought I would give you my verdict. Honestly this face mask is amazing it leaves my skin soft and looking refreshed and that was just with one use I noticed a difference. This mask really does what it says on the tin (or box as the case may be). There are 3 different masks in the clay range and you can check them out here. Please note this is my personal opinion and I am in no way affiliated with L'Oreal and I have not been paid to do this post. At £6 each these are a steal and if you love a good face mask as well you need to get your hands on one of these!